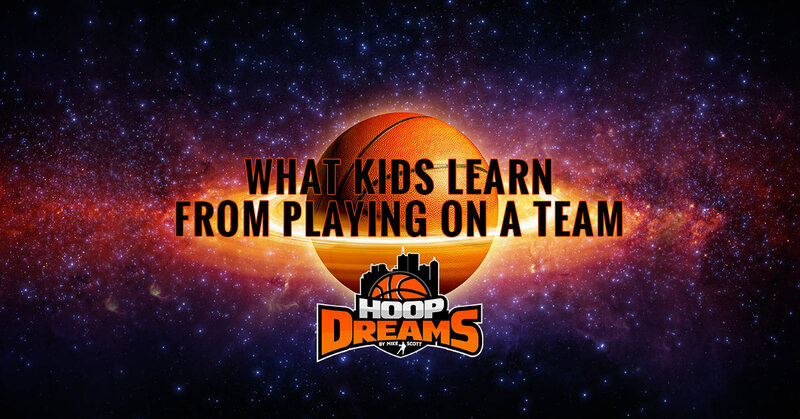 Without realizing it, just being on a team sport will provide you with lessons that can be hard to learn anywhere else. Team sports like basketball give youth an opportunity to spend time with other kids and work together to achieve a common goal. 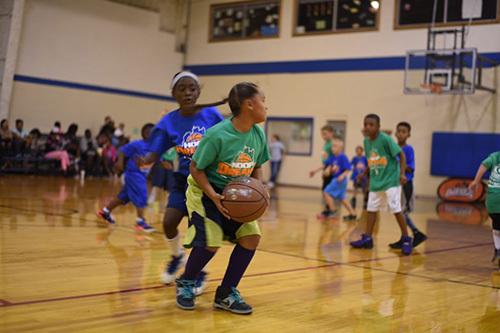 During the summer, or after school, basketball leagues or training camps can provide kids who love the sport a chance to have fun while being on a team and learning valuable basketball skills and lessons. Playing on a sports team is all about goals and wanting to achieve the best; whether that’s winning games, becoming the MVP, having the most assists, or just being proud of your team. When a youth sets their own goals and is motivated towards achieving his or her goals and feeling the immense satisfaction of having worked hard to achieve them, that is itself a win. Sign Up For a Summer Basketball Camp Today! Being on a team means working together for a common goal. Team players can quickly learn that when one is not putting in as much effort as others, the momentum and success rapidly fades. Putting in the work ahead of time, no matter what the outcome is, will result in being proud of what was done. Playing in a league or tournament is a challenge, especially with other talented and hard-working students. Losing is hard too and can be discouraging. However, knowing that life is hard and you can’t always win, will keep youth motivated. Losing as one game doesn’t mean you quit and give up working hard. With dedication and a lot of inner motivation, players who want to succeed learn how to persevere. Becoming a great basketball player takes hard work, time, sweat, and effort. Most people have heard the saying, “nothing worth doing comes easy.” The same is true with any team sport. Through intense workouts, challenging drills, possible injuries, basketball players learn how to work hard and persevere in order to achieve a final goal. The best players won’t let losing a game or missing a shot stop them from shooting for their dreams. If you want to learn skills and build character in order to become a great basketball player, it takes playing in a team and putting in a lot of hard work. With the guidance of the basketball coach, Mike Scott, youth can take advantage of leagues, camps, and basketball training programs. With these summer basketball camps, youth can learn necessary life skills in order to be a better player.